On Monday, before we had our picnic feast along the river, our friends walked us up to Richmond Castle. As I was telling you yesterday Richmond Castle is another English Heritage site. If you are ever in England and plan on touring more that one or two sites I HIGHLY recommend getting an English Heritage pass. They are good for one year and you can purchase an individual or family pass. Richmond Castle is such a place steeped in ancient beauty. 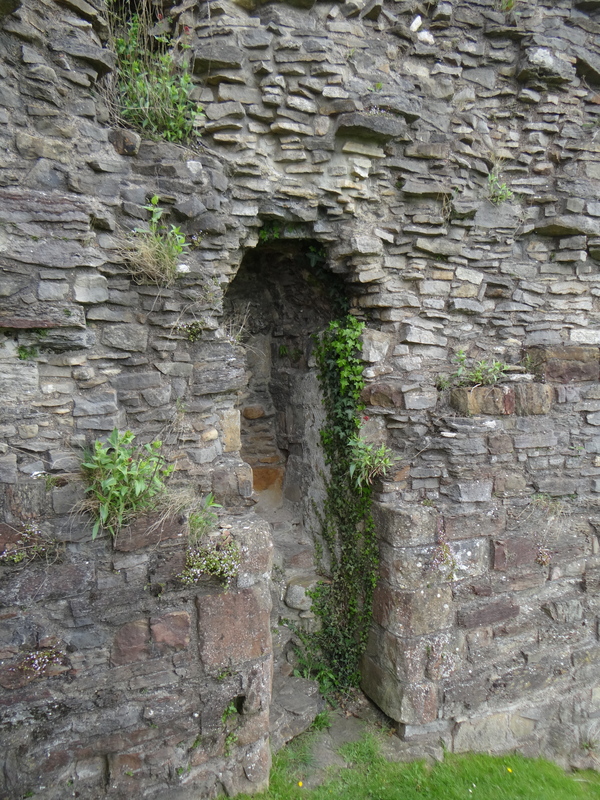 The 100 foot castle keep construction dates towards the end of the 12th Century. It truly resembles a crown atop a queen with her royal robes being the town of Richmond billowing from her shoulders rolling down to her feet at the River Swale. Isn’t she a lovely place? Meg’s class in the states is learning all about Medieval history this year. She has seen her share of castles during her medieval history home school year. We have lots of photos to share with her classmates as well. Here are a few photos of all of the rooms of castle history at Richmond. I wish I could take her whole class here. It was a wonderful place to see.